Bayou Teche runs 135 miles from Port Barre to Ber­wick through St. Landry, St. Martin, Iberia and St. Mary parishes and is easily accessed from several state highways and Interstate 10. The trail has a total of 13 established access points which provide access to paddle trips as short as 7 miles or as long as its 135 miles. The water trail flows through the towns of Port Barre, Arnaudville, Breaux Bridge, Parks, St. Martinville, Loureauville, New Iberia, Jeanerette, Charenton (Chitimacha Tribe of Louisiana lands), Baldwin, Franklin, Patterson , Berwick and small villages in between. Each town has a standard motorboat launch and many are being equipped with floating docks specifically designed for kayaks and canoes. 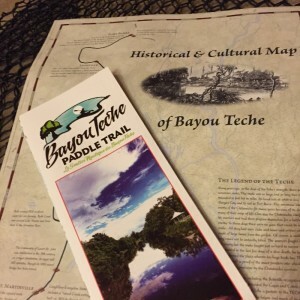 The upper stretches of Bayou Teche (from Port Barre to St. Martinville) are suitable for families and inexperienced paddlers but experienced paddlers will enjoy its beauty. Past St. Martinville, more experienced paddlers are required to portage around a 100 year old dam, or lock through the oldest operating lock in the Delta region at Keystone Lock and Dam, owned and operated by St. Martin Parish Government. To lock through, you must call St. Martin Parish Government 24-hours in advance (337-394-2200). Also, in St. Mary parishes, paddlers will need to navigat the island at the Franklin Canal and traverse two steep portages on either side at the Wax Lake Outlet (a.k.a. Calumet Cut). At this portage location are two water control structures owned and operated by the U.S. Army Corps of Engineers. Paddlers will need to call ahead to determine if the water control structures are open or a portage around the gatehouses will be necessary. Patterson, in St. Mary Parish, is identified and promulgated as the safest take-out point at the finish of the Bayou Teche Paddle Trail. Adventurous paddlers can continue on the Bayou Teche Paddle Trail to lock through at the Berwick Lock, owned and operated by the U.S. Army Corps of Engineers into the Atchafalaya River into Morgan City. Bayou Teche wildlife and vegetation are abundant. Birdwatchers will see wood ducks, herons, kingfishers and warblers along the entire stretch of Bayou Teche. Paddlers who bring their fishing poles can fish for catfish, Sac-au-lait (crappie) or bream (blue gill). Cypress trees line the banks of the bayou and great live oaks draped in Spanish moss provide evidence where small Acadian plantations once operated. 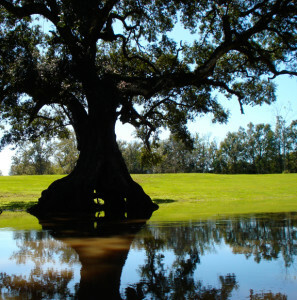 Each town along the Teche offers its own personality and experiences that include architecture, agriculture, foodways, music and arts.